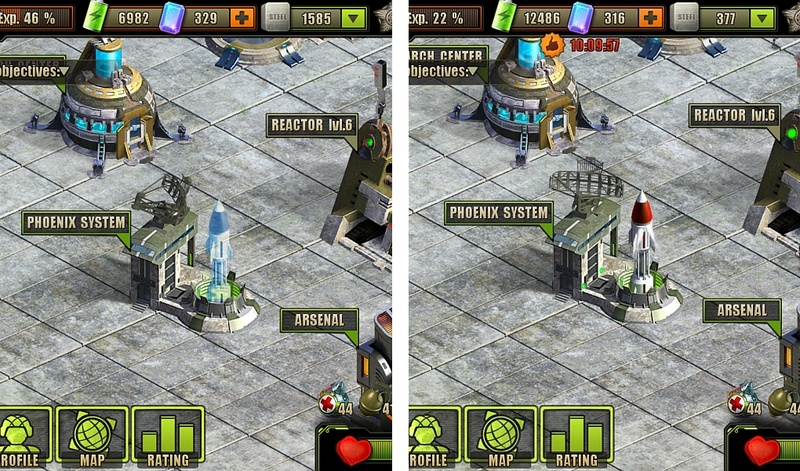 The Phoenix System is one of the many Buildings in Evolution: Battle for Utopia game. 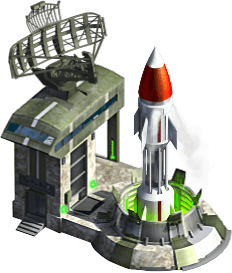 The Phoenix System allows you to create a super-powerful ballistic rocket that is as impressive as it is terrifying. You may unlock the research for Phoenix System within the Bunker location (drops after last hack). However, you can’t perform the research at the Research Center until you research the Psi Power. After research you can construct Phoenix System at your base. The Phoenix System can produce and hold one missile Phoenix ICBM at any given time. 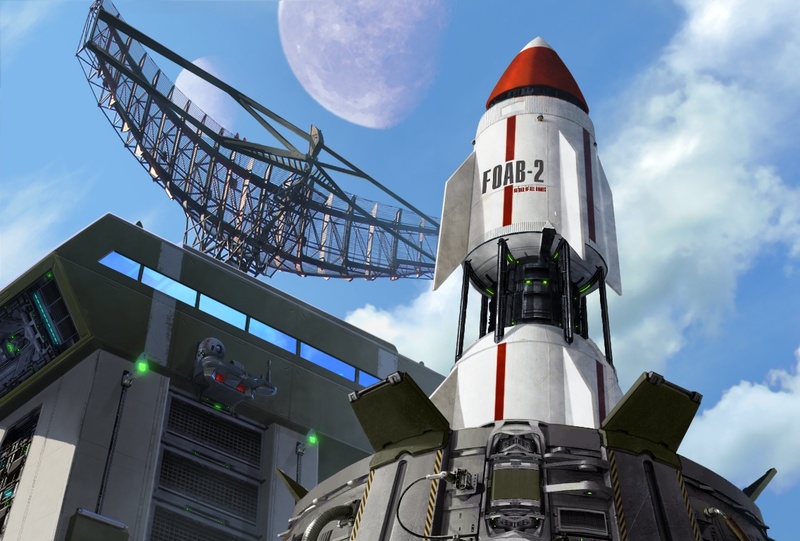 The missile is equipped with FOAB-2 – a state-of-the-art vacuum warhead, an indispensable weapon against armored targets and defense turrets. With this missile you can hit any target at the location excepts Itinerant Merchant and locations’ Bosses (have an orange circle around, unlike red ones for other enemies). Another words – you can hit any target with red circle around it. You have to use the missile before you could create another one. It is reasonable to use the Phoenix missile for most durable enemies, when you realize that face-to-face battle will need a lot of ammunition. Does anyone know if we still get the research bonus if we use phoenix? Example would be points for killing turrets. Or must we do it manually? 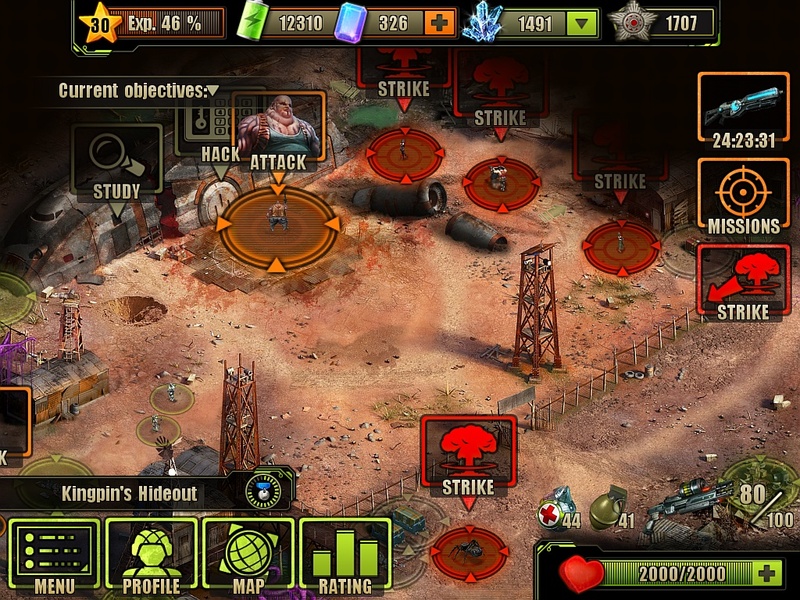 Research bonus with Phoenix works on “terminate dominators” only. The other research bonus conditions you should get manually. what r d enemies in dominion region in which i should use this ?? There was an update to Phoenix missiles. Before there was a small amount of “resting time” to be able to produce another missile. Now you need 6 hours to be able to produce another missile and 30 minutes to actually produce it! my phoenix shows 2 hrs to produce a missile… is it the older version ?? Probably yes. I can’t remember the old cool down timer! I only know that the actual cool down timer is 6 hours. I will advise you to buy binoculars in profile if you 200 gems and can spend. 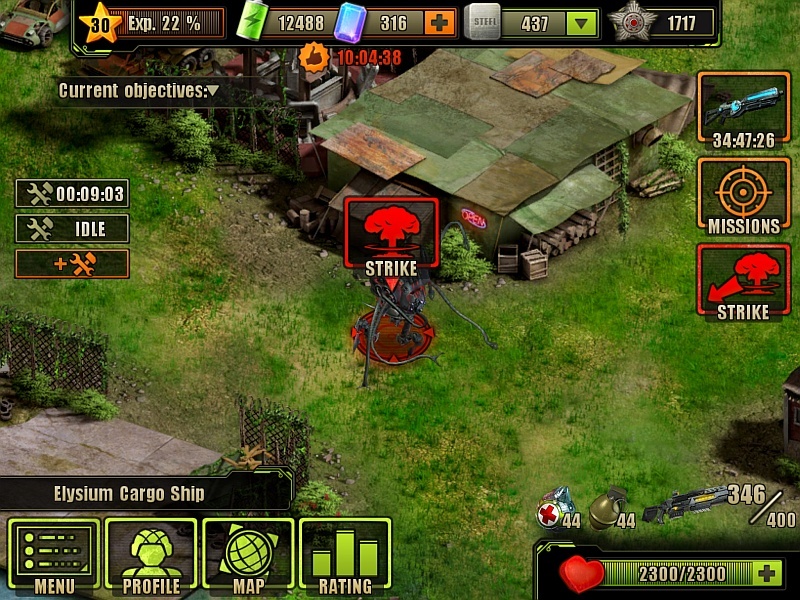 it will give you detailed inforation of enemy and the you can easily decide what to nuke. It also helps in choosing right weapons for the fight. I think its worth. I already got everything from profile that’s not the combat knife and the 30% discount on garde 1 frags and med packs when it comes to gems, saving now for the extra turrets. But yeah, I highly agree with the binoculars. I also switch my partner in fights that highly need acid, like 3 armored targets or a turret.